A designer pearl ring, finished in 18 carat white gold, with the contrasting light and dark tones of its white Akoya pearl and royal blue sapphire creating an eye-catching statement. 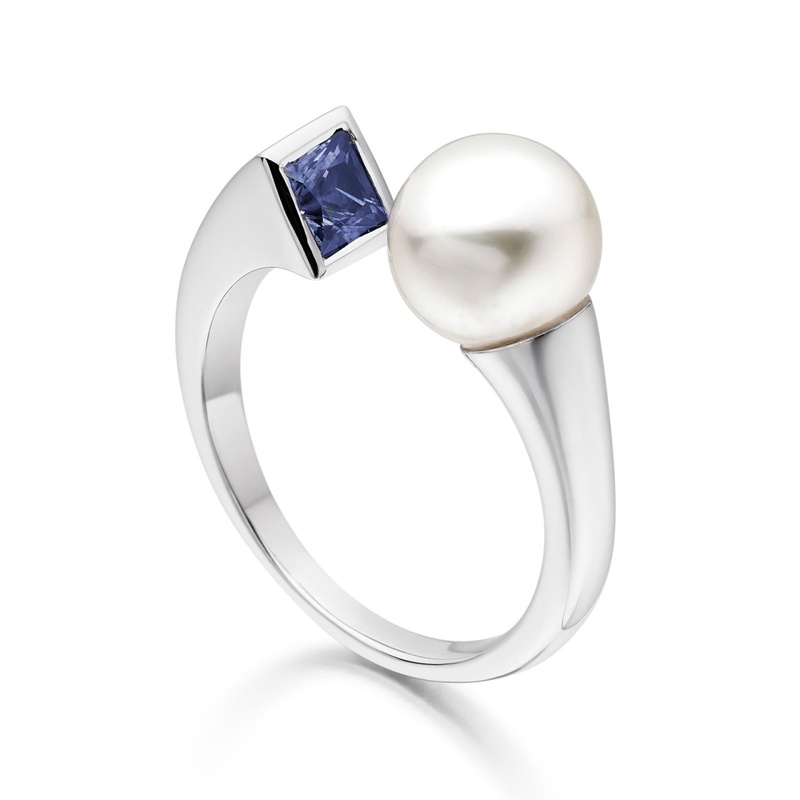 The contemporary setting of the ring is highlighted by the asymmetry of the square sapphire facing its round pearl. The Akoya pearl is a type of saltwater pearl, traditionally cultured in Japanese coastal waters. The pearl, which measures 7.5-8mm in diameter, has a beautiful lustre and elegant white colour with pink overtone. The ring is designed so that the pearl rests comfortably against the finger. The 0.3 carat blue sapphire is set facing towards the pearl to create an eye-catching touch of colour. This ring is available in a standard UK size L, which has an inside diameter of 16.3mm and is equivalent to a standard 5¾ size in the United States.